Goji berries are also high in antioxidants and are known for strengthening the immune system. 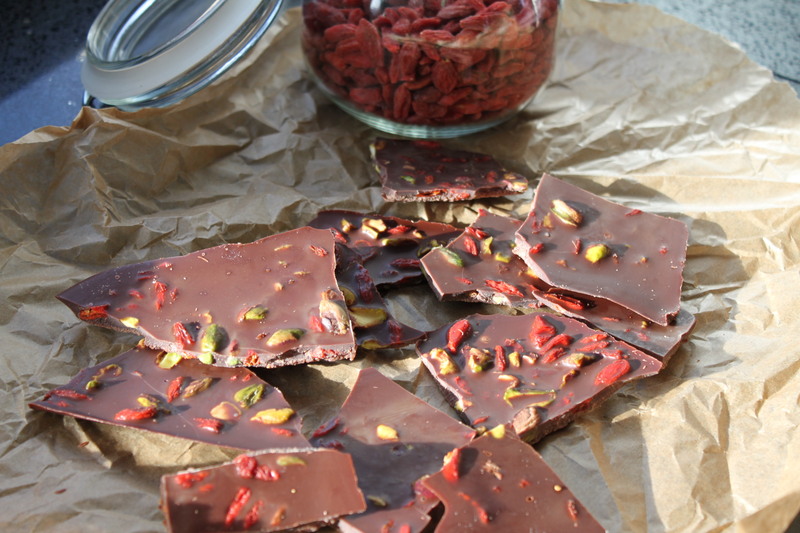 I love how the goji berries, once frozen, go really chewy like caramel – which makes this bark rather more-ish! As cacao powder is quite bitter I add honey to sweeten this bark but you can use any sweetener you prefer using in your cooking. I would say to start off with a little amount and slowly add more to get the sweetness you desire. Place a bowl over a pan of rapidly simmering water, making sure the water doesn’t touch the bottom of the bowl. Put the cacao butter in the bowl and start to melt slowly. Once it has melted add the cacao powder and honey and stir until thoroughly combined and no lumps. 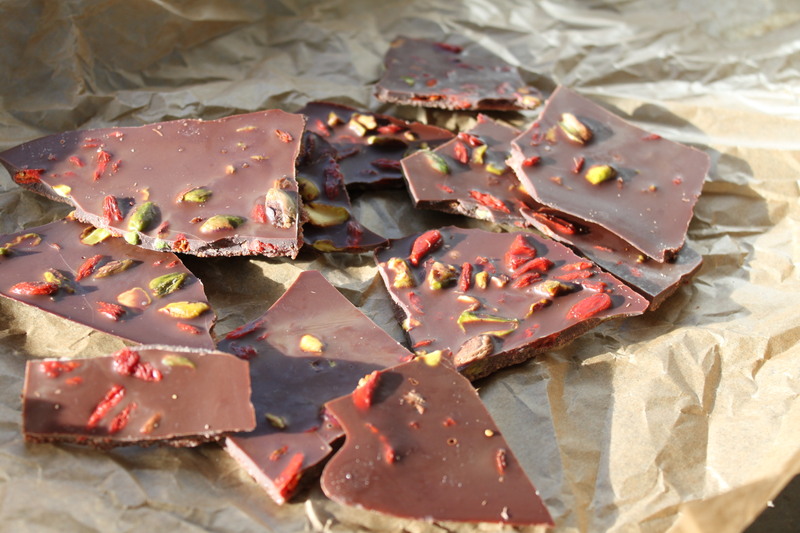 Remove from the heat and stir in most of the goji berries and pistachios – reserving some for sprinkling over the top of the bark. Pour the mixture on to the prepared baking sheet and sprinkle over the remaining pistachios and goji berries. Place in the freezer until set. Break up in to pieces and store in an airtight container in the refrigerator.